Essex, located in Peabody, Massachusetts, is the epitome of sophisticated living. With a premier address on the North Shore of Boston, Essex is home to spacious one and two bedroom apartments, each with loft and townhome options. Our apartments feature private balconies or patios, central air-conditioning, sprawling closets and in-unit washer and dryers. Residents can also take advantage of our unparalleled amenities, such as the landscaped barbecue and picnic area, playground and resort style pool. Plus, come see our newly renovated clubhouse and fitness center! 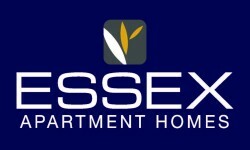 We invite you to make Essex your home today!